Though choices abound when choosing which knot to use when tying a lure to fishing line, there is only one knot you need to know: the Palomar knot. This knot is one of the strongest fishing knots, retaining about 91 percent of the fishing line's stated strength. 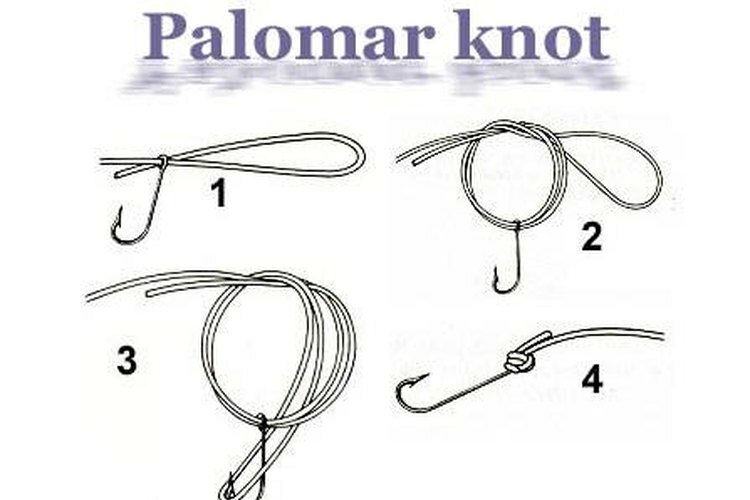 The Palomar knot is also far and away the simplest and works well with traditional monofilament fishing lines, as well as with the new superbraids. Extend the end of the fishing line about 12 inches through the hook or lure eye. Then double the fishing line back through the lure eye about 6 inches, so that about six inches of line is doubled on both sides of the hook or lure eye. Using the doubled portions of line on either side of the hook or lure eye, tie an overhand knot. The hook or lure should hang from the middle of the loop formed by the overhand knot. Do not pull the overhand knot tight yet. Pass the original loop--the one formed by the line that was doubled back through the hook or lure eye and used to form the overhand knot--completely over the hook or lure. Lubricate all the line being used in the knot with saliva or by dipping the un-tightened knot under water. Then pull the doubled line--the portion of doubled line containing the tag end, not the portion of doubled line forming the loop--to tighten the knot, and trim the tag end closely with sharp clippers. Lubricating the knot before pulling it tight keeps the line at full strength. When you tighten the knot, the line within the knot rubs against itself, producing heat friction. This friction damages the line somewhat, making it more likely to break when you have that big fish hooked. Lubricating the line before tightening the knot helps ensure the line retains its full strength. Mitchell Terpstra hails from the Chicagoland region. He studied as an undergraduate at Calvin College, concentrating on English, philosophy and language composition. Infected with a mild case of wanderlust, he's visited four continents and counting. He's also an aspiring family man and amateur gastronome.